Focus on digital product development and design can make rebranding a success. The new LVLY site required high-quality website development to bring an engaging experience to their users and achieve their brand objectives. The Lively Group strategically decided to rebrand and bring together elements of 3 companies under one umbrella. This required high-quality website development to bring an engaging experience to the users of their site and meet their brand goals. Nolte was chosen for this partnership thanks to the experience with the development of similar sites such as Fashion Unfiltered and Caleres. LVLY was a collection of companies specialized in different fields of content generation for established and emerging brands. 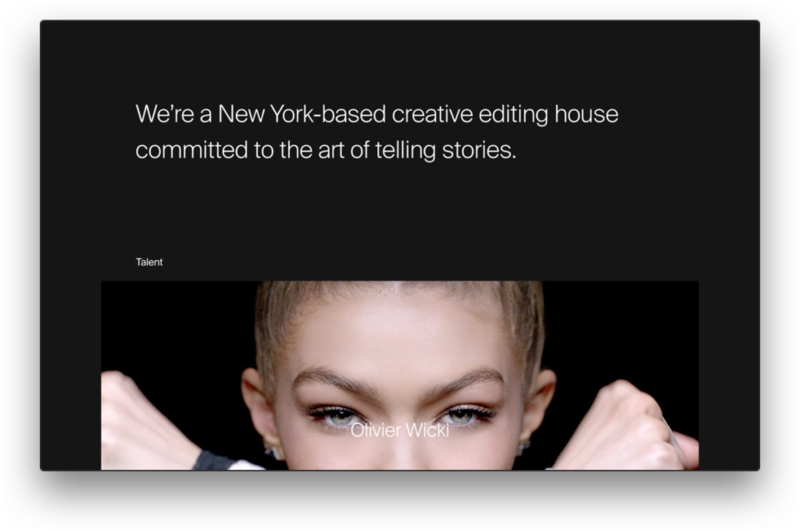 The new lvly.tv website creates an experience for the user, where they can see a catalog of LVLY services and view their most recent work in either video or storytelling format. 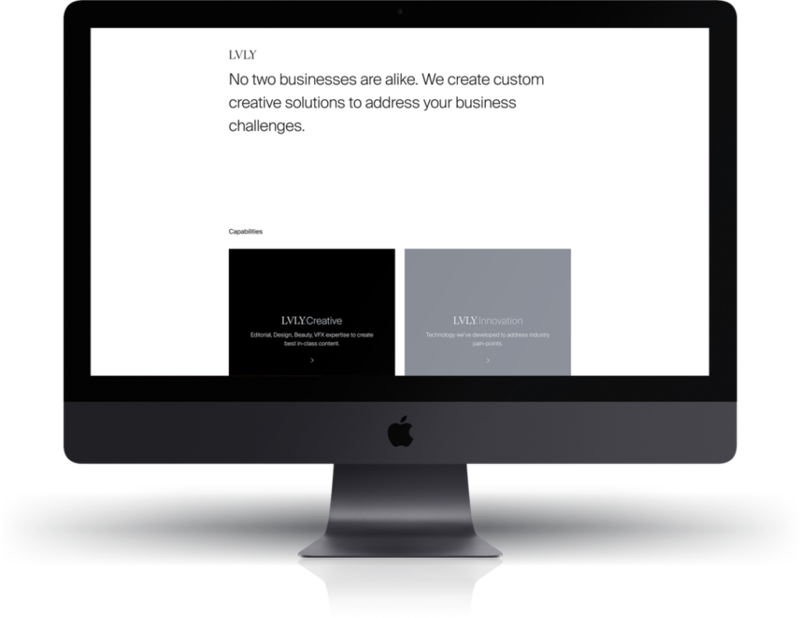 To bring the new brand to life a new website was needed, designed to emphasize LVLY’s approach to iterative ideation and at the same time provide site visitors with a highly performant experience reminiscent that of the LVLY teams work. Nolte was tasked with providing a complete administrative experience which was intuitive and empowered the LVLY team to have complete control of the site. To accomplish this the migration of 3 sites under one umbrella had to be done while considering the previous equity those brands had built over the last 40 years. High-performance loading of images, video, and assets across all mobile, tablet and browsers was essential, and work product (videos) needed to be displayed quickly and immediately. The corresponding research was done on different solutions to ensure this was implemented properly. Through co-creation, the LVLY team’s creative direction overlayed with Nolte’s UX/UI/Engineering expertise in order to mock up prototypes of the site before developing the product. Focus was placed on creating specifications for video which effectively told the story of the LVLY brand through movement and interaction. A key factor of the partnership was sharing visibility of the project’s progress without overwhelming the client with the day to day particulars. This was achieved through weekly reporting, release reports and the preparation of staged features for acceptance by the client. The main objective was to showcase LVLY’s work and the beautiful content they create for some of the most recognizable brands. Understanding this and given the intense timeline and the need for an early release, the Nolte team followed the agile project management approach, implementing the Scrum methodology. 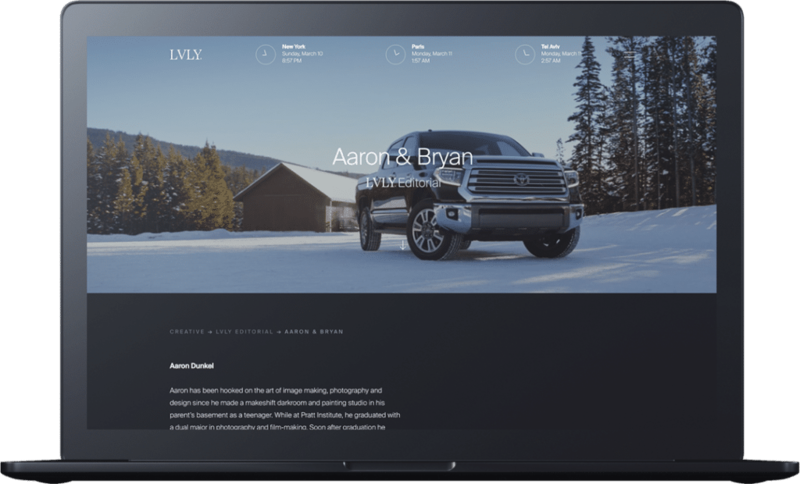 In order to be impactful, the final design centered on a polished, visually minimal layout that would foreground LVLY’s portfolio through the use of images, videos, and smooth animation effects to improve the end users experience. The processes started out by focusing on the User Experience Design through the human-centered approach. Building off of the insights and outcomes of the User Experience work, we utilize the key findings to drive the overall creative direction, brand, and user interface design. From the development point of view, we used WordPress working with the Nolte-developed Lean Theme. We integrated the use of Pantheon for hosting and deploying multidev. 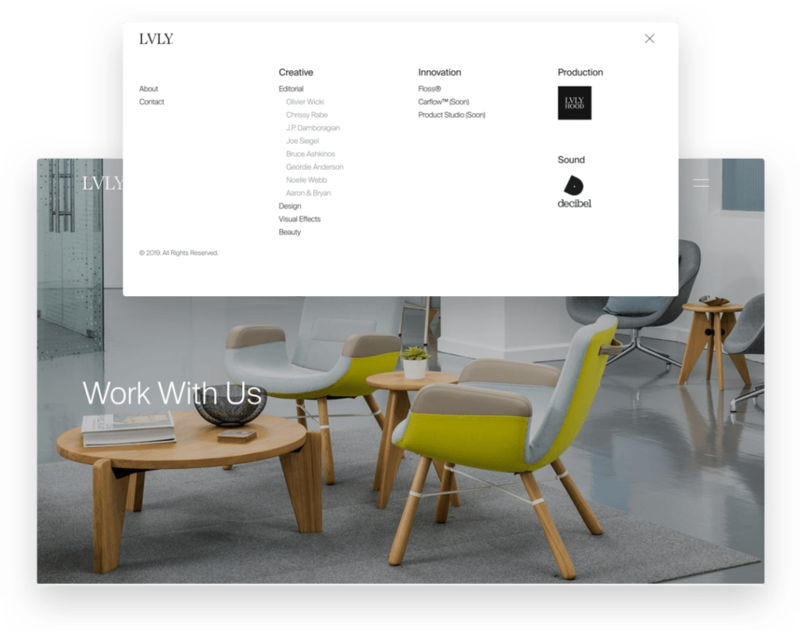 By the end of the first release, LVLY was able to host a soft launch of their site for their key stakeholders in order to show the results of the first deliverable. Our approach was to build a fully customized WordPress site that includes highly-performant pages which load under 1.5s. 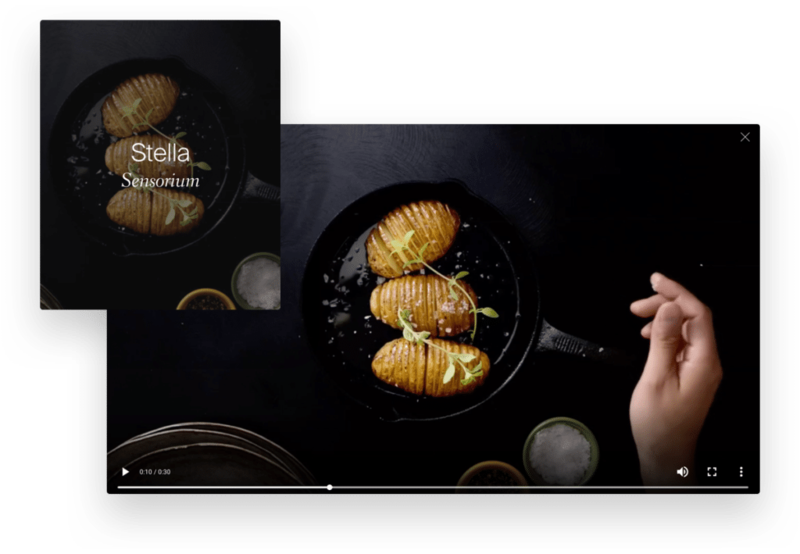 The website also contemplated optimized video, and photography to deliver the right experience to the right user’s regardless of the device they used to access the site. Furthermore, we optimized the hosting platform for speedy delivery of the site and worked in tandem with LVLY’s IT team to manage the migration of the site. Thank you all for the hard work and dedication getting us to this point. The website looks beautiful!